Craig Silkens, a sports massage therapist and personal trainer at M Club, explains why snacking can actually be good for you. Snacking throughout the day has long been associated with steady weight increase because most people don’t recognise the extra calories they are putting in their bodies. However, some studies suggest that healthy snacking throughout the day can actually help with fat metabolism and weight loss. There is a drawback though – these snacks must be of a healthy nature and the total daily calorie input must be recognised. Most people gain weight and increase body fat from snacking unhealthily because it is unplanned. It’s mid-afternoon, lunch has been metabolised, the computer screen is becoming a lazy blur and the first thing we think of is chocolate or something sweet. The reason behind this is our blood sugar is perhaps starting to drop a little and the body seeks to replenish blood sugar levels by eating something sweet. Planning your daily snacks will ensure you don’t get to that level of hunger and will also mean you will have something healthy to eat that has nutritionally dense calories. Planning and preparing your snacks will ensure they fit into your daily calorie allowance, thus eliminating the risk of weight/fat gain. Just four squares of dairy milk chocolate contains 134 calories, which is predominantly refined sugar and saturated fat. Let’s be honest, who stops at four squares? If one was to eat four squares of chocolate every day on top their calorie quota from their main meals, in one week they will have consumed 938 extra calories. This would take 90 minutes to two hours of hard exercise to burn off. In less than a month these excess calories will equate to more than a pound of body fat, if not metabolised through activity. The worst part is that the body has gained no nutritional benefit from these calories. 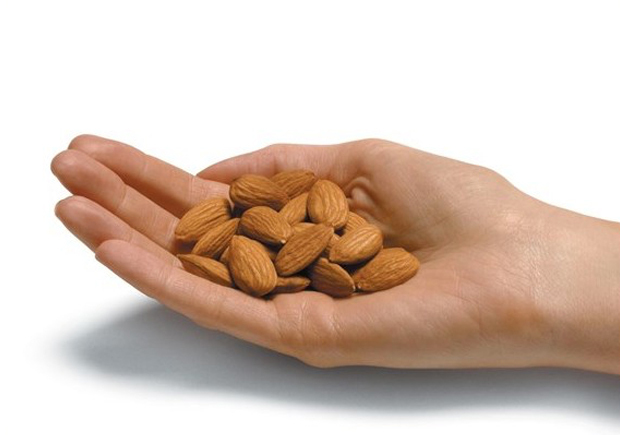 In comparison a small handful of almonds contains 170 calories, which is predominantly healthy monounsaturated fat and protein. Although this snack has more calories it is far more nutritionally dense. Some studies suggest monounsaturated fat can improve overall cardiovascular health and wellbeing and help with the metabolism of body fat, hence why it is a firm favourite among fitness athletes. Plan when to snack. Be sure you still get three nutritionally dense meals daily and then you will most likely need two to three snacks during the day to fill the hours between meals, depending on your work and lifestyle. Plan what to snack on. Try to have any sugary snacks (healthy yoghurts, fruit) earlier in the day as they will be better metabolised and give you energy for the day ahead. Have protein/fat-based snacks later in the day (nuts, healthy protein bars), as they will give you the right nutrients to help repair your body towards the end of the day. Plan your total daily calorie intake. Regardless of how healthy your snacks are, if you consume more calories than you burn then you will put weight on. If you find your meals and snacks total more than your daily calorie allowance then either reduce the portion size or do more activity to create the calorie balance to maintain your weight.